On June 27, black BART track-maintenance workers said they found graffiti messily drawn in black marker on three of their lockers. It read: “F-you [first name of worker] dies N-,” according to Jody LeWitter, an attorney representing the workers of California’s Bay Area Rapid Transit agency, SFGate reports. The workers filed a lawsuit in Alameda County Superior Court in December, but despite this, the alleged harassment has continued, with racist graffiti scribbled on lockers and in restroom stalls and discrimination in promotions and training, according to SFGate. LeWitter said that BART has dragged its feet looking into the incident and has allegedly turned a blind eye to past incidents, writing them off as “horseplay.” The investigation into the charges has dragged on, lasting more than a month, which Lewitter describes as unusual and reflects BART managers’ failure to resolve BART’s internal racial problems. In response to June’s incident, the workers refused to report to work, fearful that whoever was behind the racially inflammatory graffiti might try to retaliate while they worked on the tracks at night. However, they have resumed work after being ordered to do so, the newspaper reports. 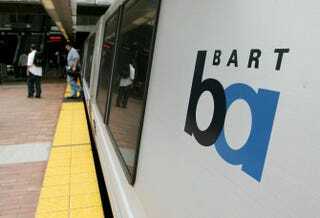 BART officials have not responded to requests for comment made Tuesday and Wednesday, according to SFGate.